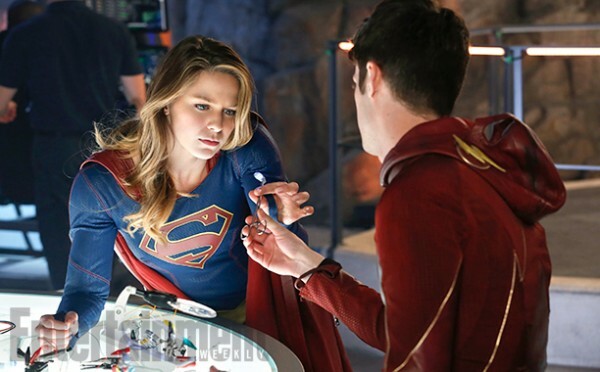 WATCH: 'Supergirl' Crossover Previews with The Flash for "World's Finest"
We're only days away from the latest (and greatest?) TV superhero crossover when the Flash (Grant Gustin) visits National City from another dimension (the CW?) and helps Supergirl (Melissa Benoist) fight Silver Banshee (Italia Ricci) and Livewire (Brit Morgan). Check out this series of sneak peeks to prepare for Monday's episode entitled "World's Finest." The two most likable heroes in any cinematic universe show a great deal of chemistry and joy together. The type of things some people demand in their superheroes, Supergirl/The Flash crossover has it in spades.